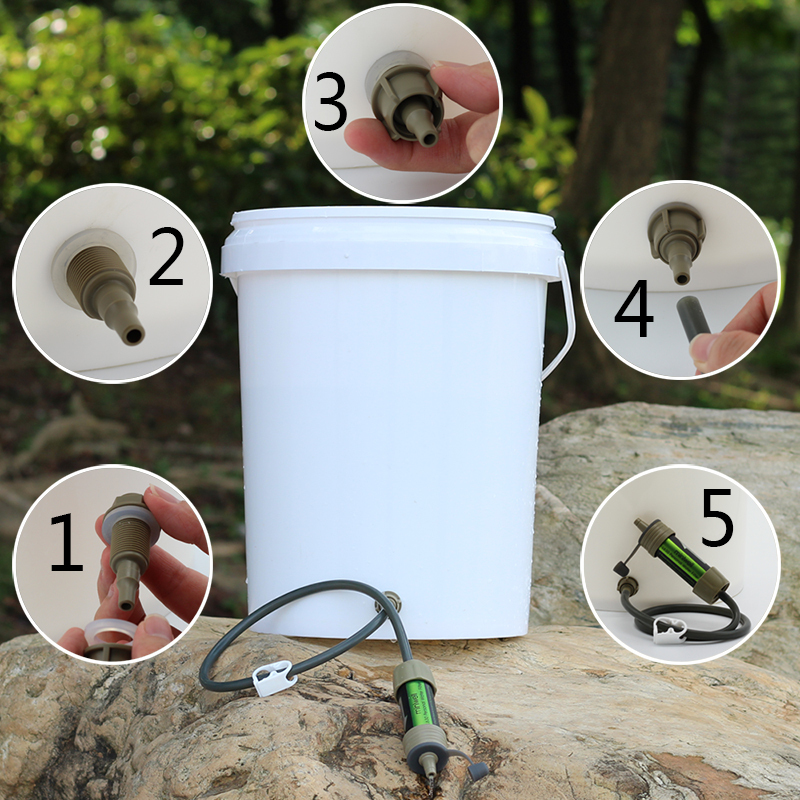 • More filtering: Filters up to 2000 liters of natural fresh water without using any chemicals. That is 2000 liters clean and drinkable water in the backpack on the go. 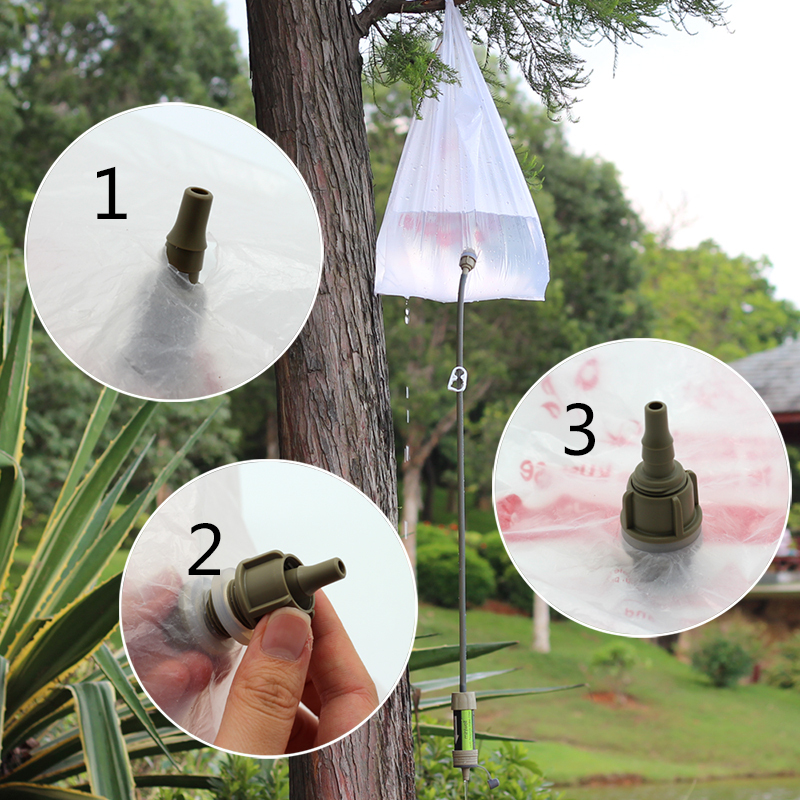 • Versatile design: Easily setup a DIY filtration system by attaching on 28 mm thread soda bottle like Coca-Cola bottle, plastic bag, collapsible bottle or bucket. 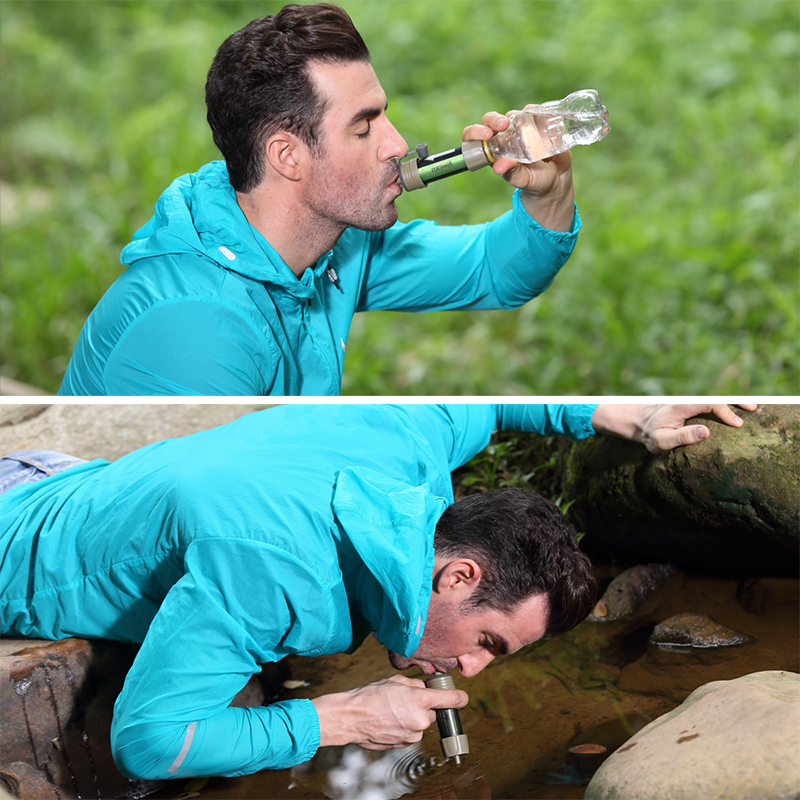 Or drink directly from water source like a straw. 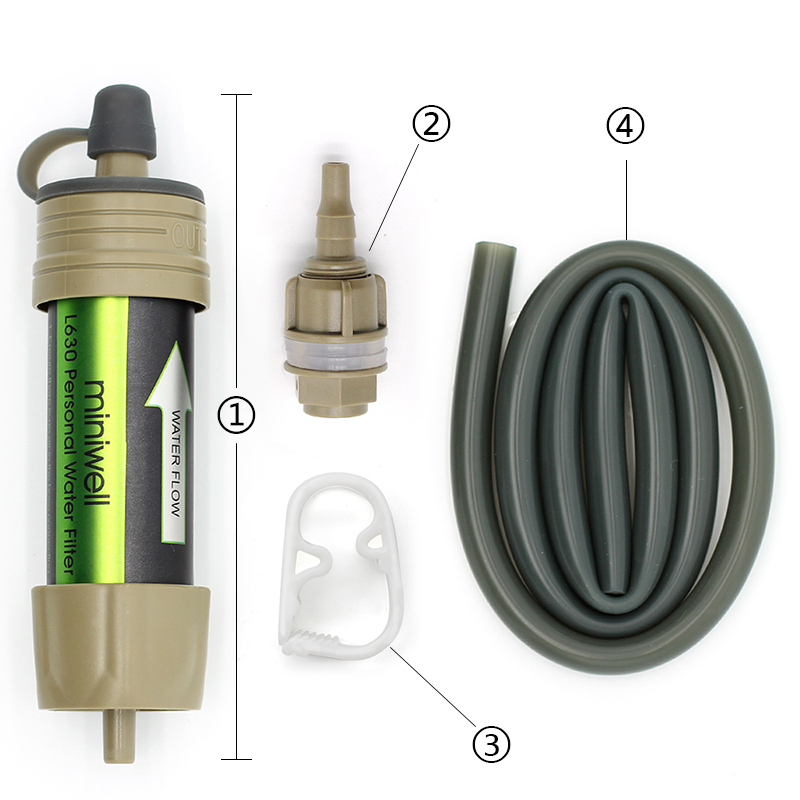 • Backflushing with ease: A silicone gasket around mouthpiece helps to create air tight backflow for backflushing. • Reliable filtering result: 0.1 micron membrane ensures 99.999999% removal rate of bacteria. TUV and SGS testing reports. • Superior material: FDA approved. Impact resistance and ultra-light L630 fits in the palm of your hand. Lifespan can be extended by backwash. 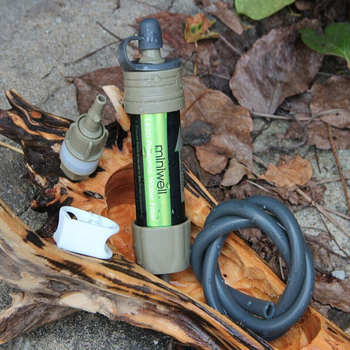 Good choice for camping, hiking, fishing, scouting, travel, military, survival use, or emergencies. 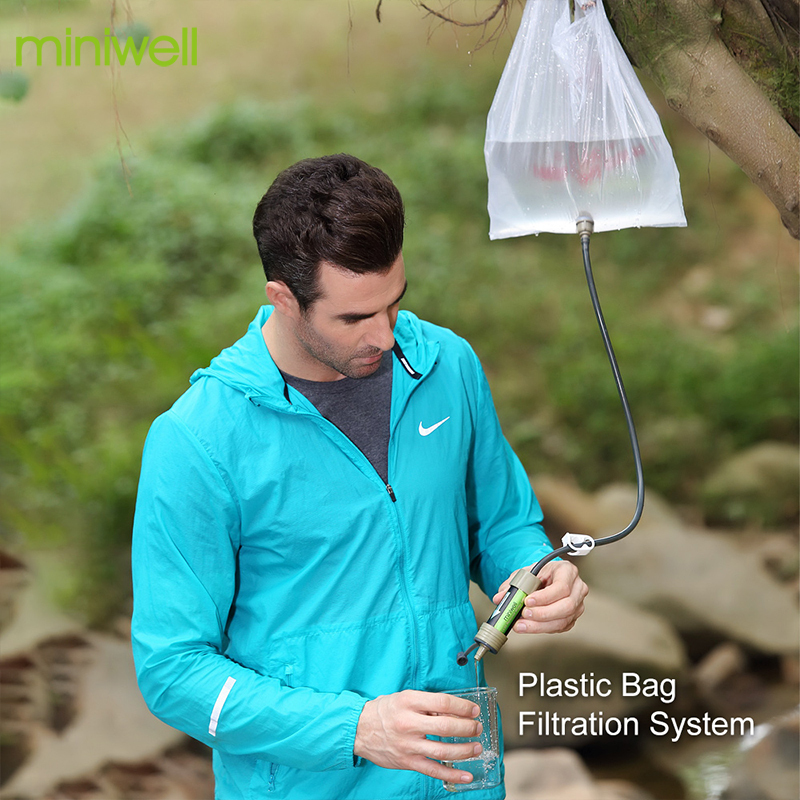 Miniwell L630 employs 0.1 micron ultra-filtration membrane (medical grade material) as filter media, which is effective against 99.99999% waterborne bacteria. Backflush can rinse away impurities that the membrane has filtered from water. We set a silicone gasket around the mouthpiece. 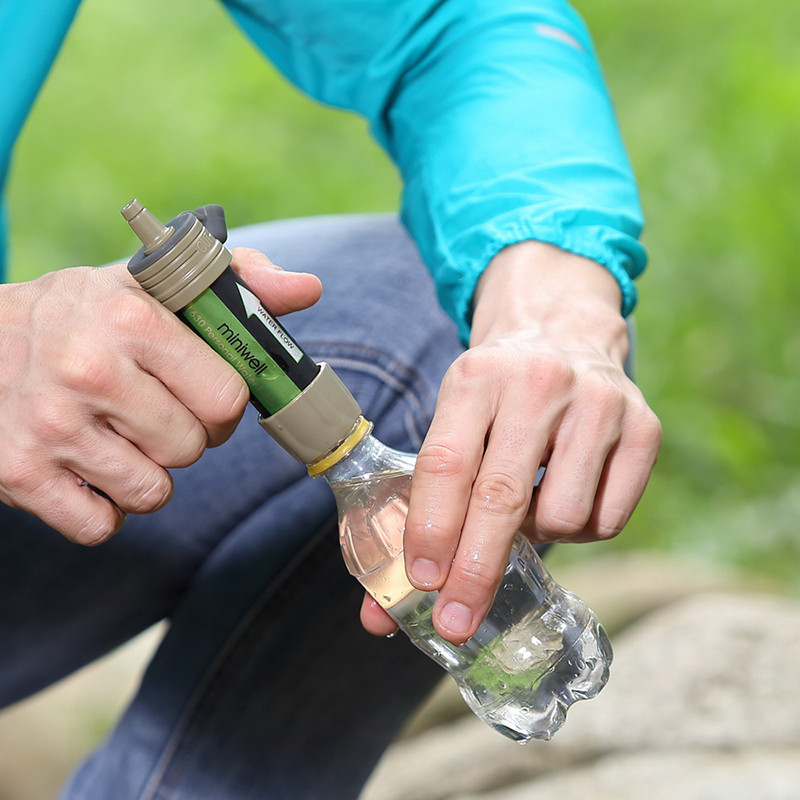 A handy bottle can be covered on the gasket for backflushing without leakage. 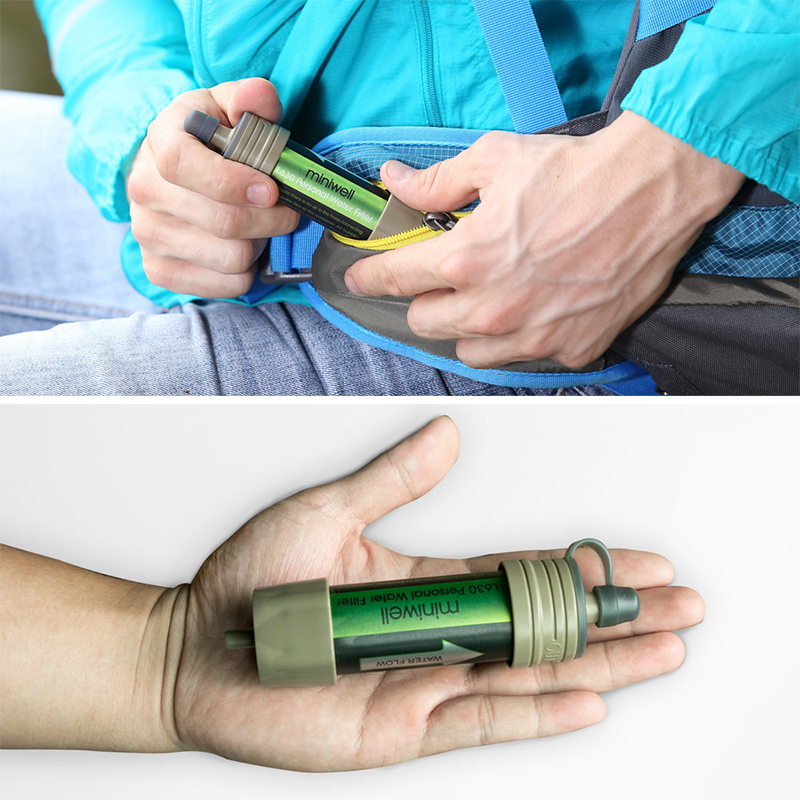 You don’t need to keep a syringe on the go anymore. 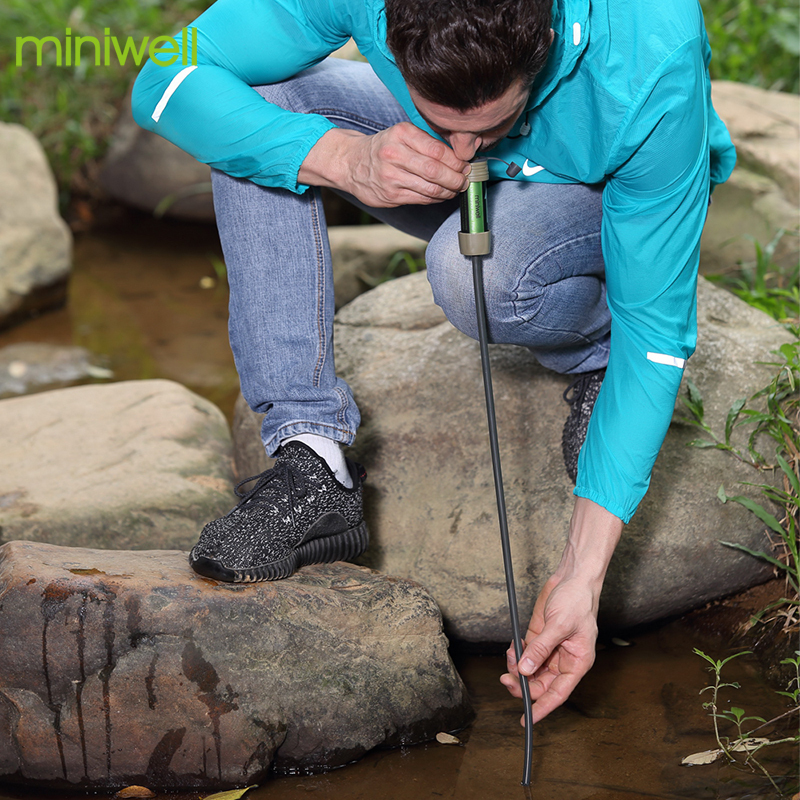 1) When the flow rate slows, Miniwell water filter can be back-flushed with ease. Please use clean water only while back-flushing. 2) Before storing the Miniwell water filter, back-flush with clean water and then soak in a mild vinegar solution to disinfect the filter. 3) After cleaning, let the filter air dry and store in a cool and dry location. 4) Shelf Life: 5 years. After initial wetting: 3 years. Attach to disposable plastic bag. Handy plastic bag becomes reservoir immediately. 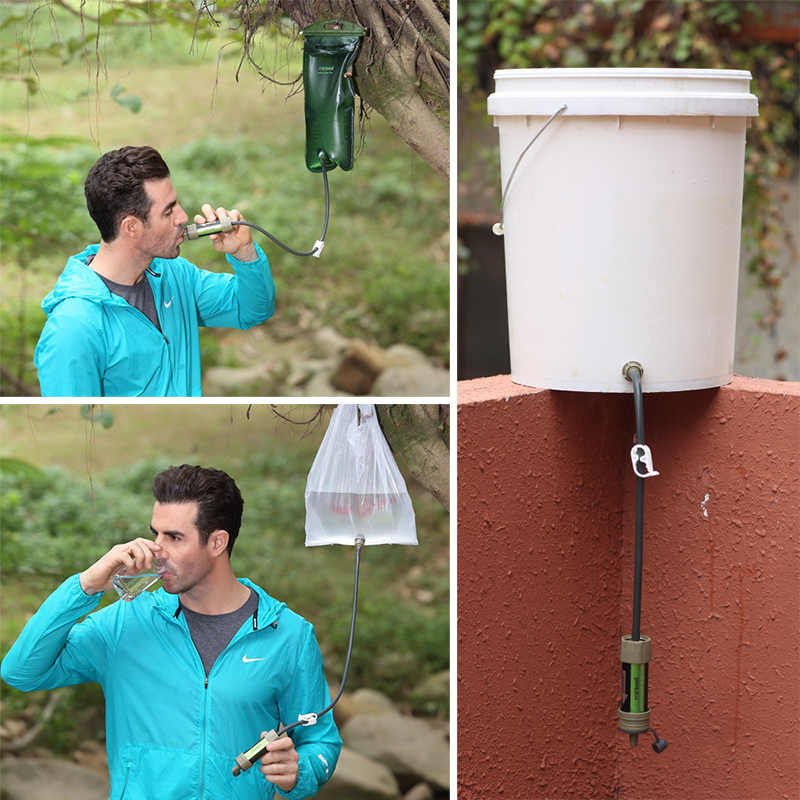 Create your own gravity filtration system. • Q: How often do I need to backwash the system? • Q: Can I use water filtered from the system itself to backwash the filter? • A: Yes. 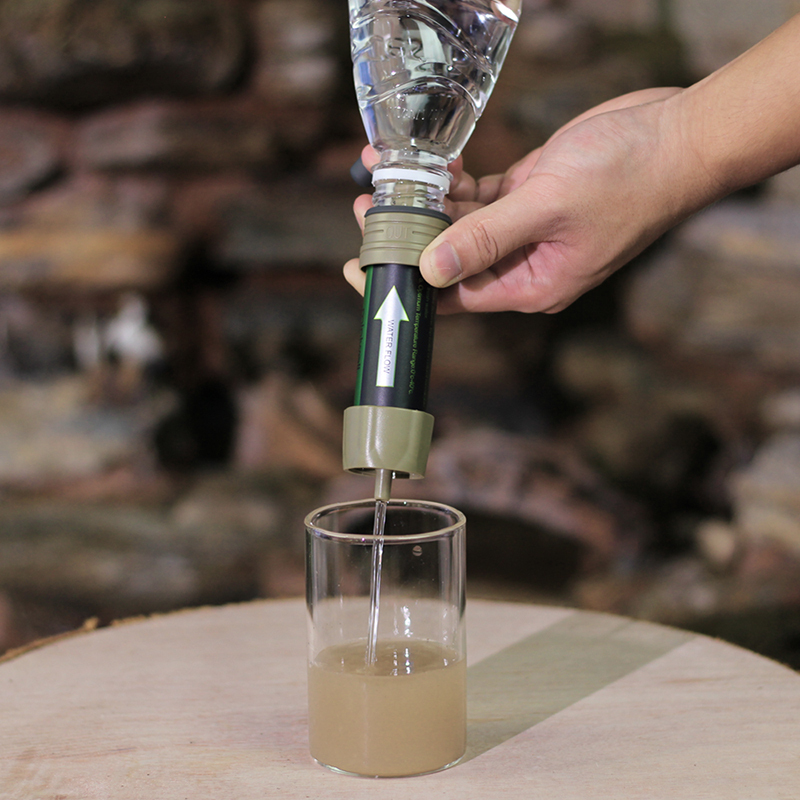 Filtered water from the filter can be used to backwash. 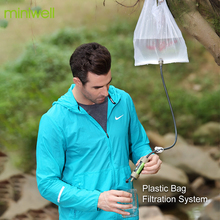 Collects filtered water by a clean disposable bottle. Squeezes clean water into filter from filter outlet. • Q: How do I know its time to replace the filter? • A: The filter will not allow water to flow when it filtration pores are blocked. If the water flow slows down or there is no water flowing out through filter, it is time to replace your filter. • Q: Does this work on E.coli and parasites like Giardia and Cryptosporidium? • A: Yes. 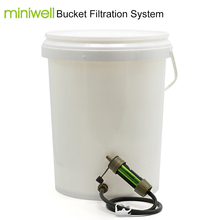 Miniwell L630 is capable of filtering 99.9% bacteria and parasites. 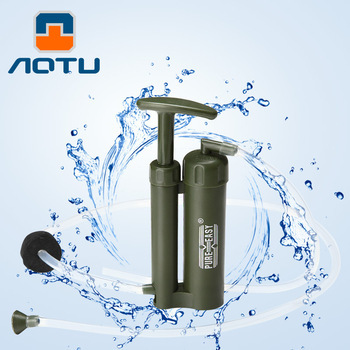 • Q: Can this filter remove unpleasant taste in raw water? • A: Hollow fiber can not remove unpleasant taste and pigment in raw water. 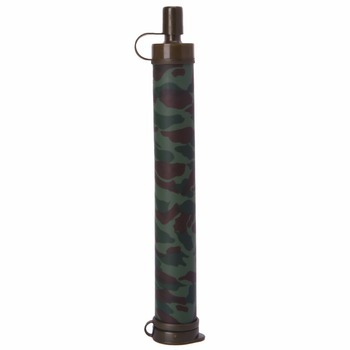 L630 is the most basic filtration system for fresh water filtration with 99.9% removal rate of all bacteria. If you would like to improve the taste of water, Miniwell L610, L600, and L620 can fit your needs. • Q: Does it filter salt water? • A: No. 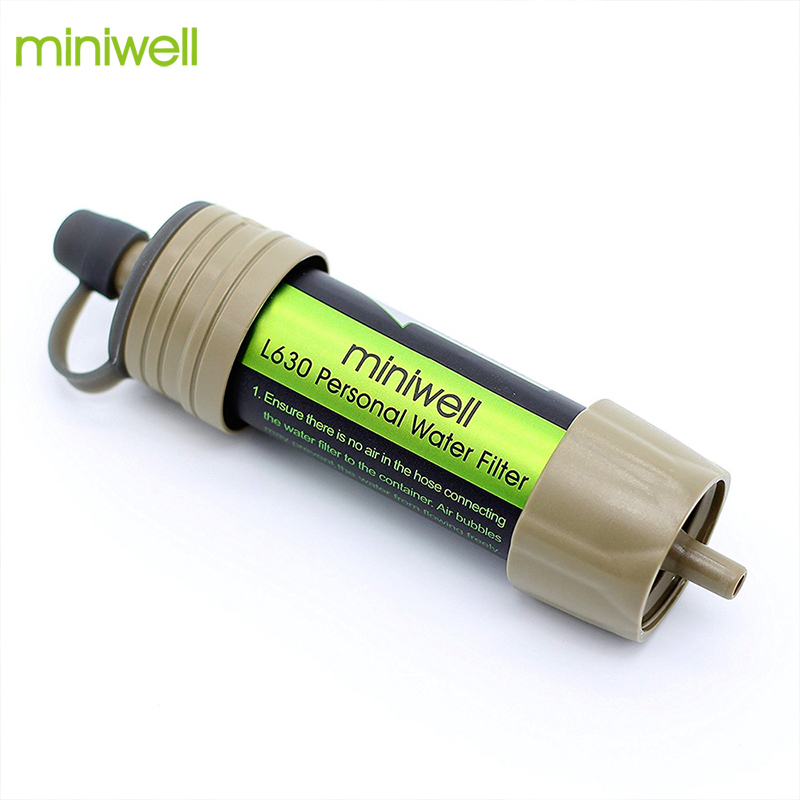 Miniwell L630 filtration pore size on the membrane is 0.1 micron. 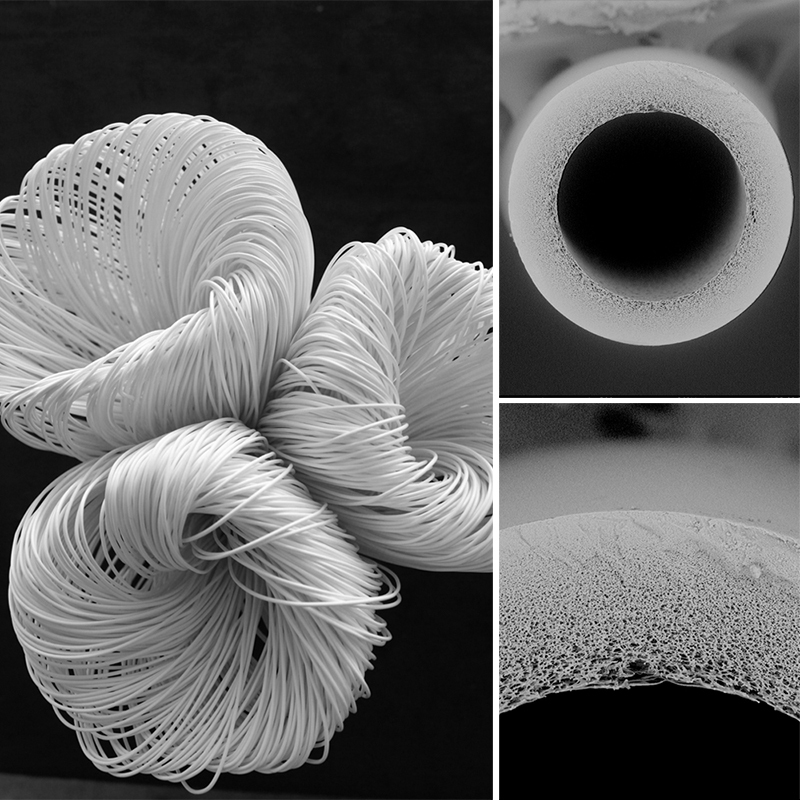 Dissolved salt passes through a 0.1 micron membrane. In other words, Miniwell L630 keeps mineral from nature fresh water sources in filtered water.